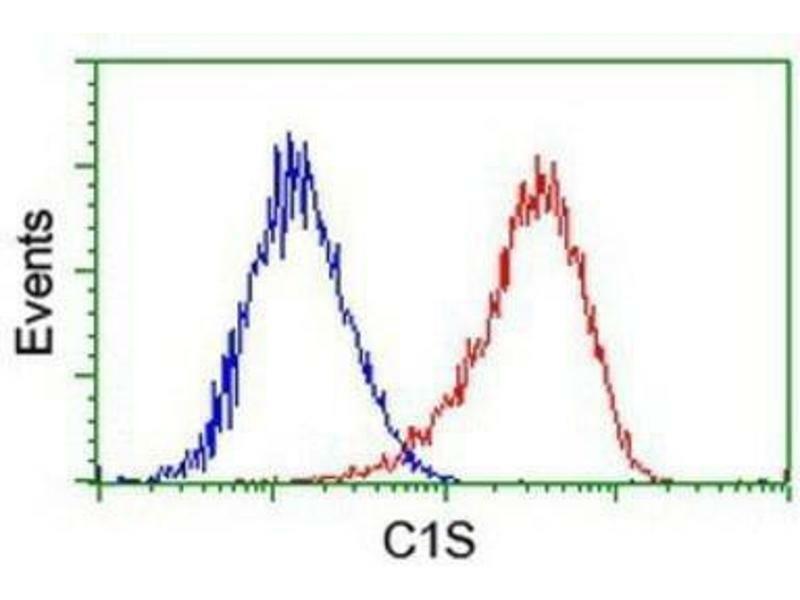 Flow Cytometry: Complement Component C1s Antibody (4E3) [NBP2-01625] - Analysis of Jurkat cells, using anti-Complement Component C1s antibody, (Red), compared to a nonspecific negative control antibody (Blue). 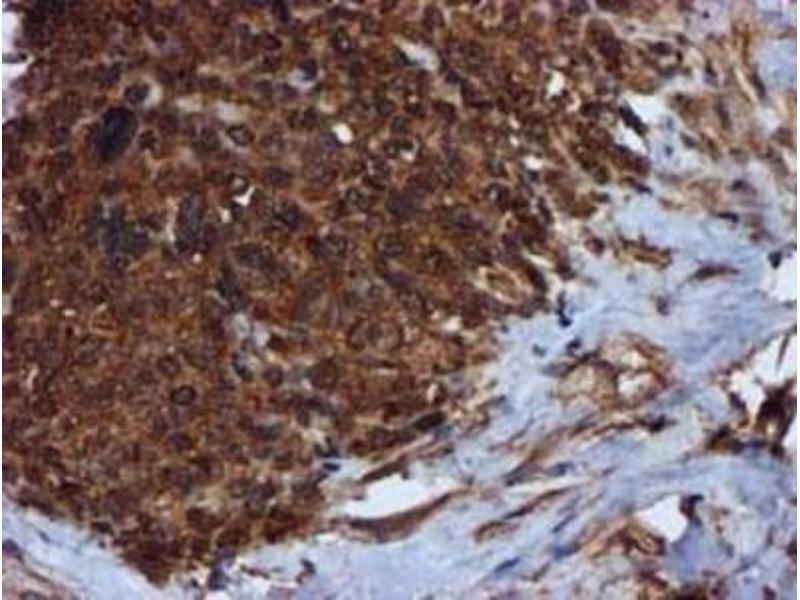 Immunohistochemistry-Paraffin: Complement Component C1s Antibody (4E3) [NBP2-01625] - Staining of paraffin-embedded Carcinoma of Human bladder tissue using anti-Complement Component C1s mouse monoclonal antibody. 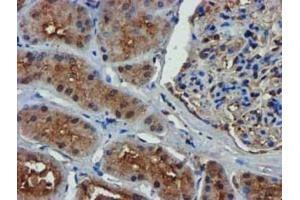 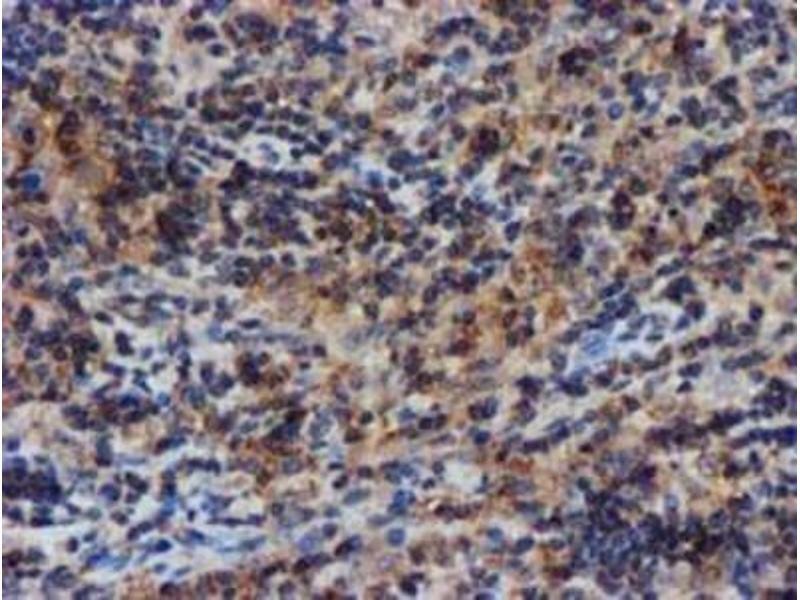 Immunohistochemistry-Paraffin: Complement Component C1s Antibody (4E3) [NBP2-01625] - Staining of paraffin-embedded Carcinoma of Human kidney tissue using anti-Complement Component C1s mouse monoclonal antibody. 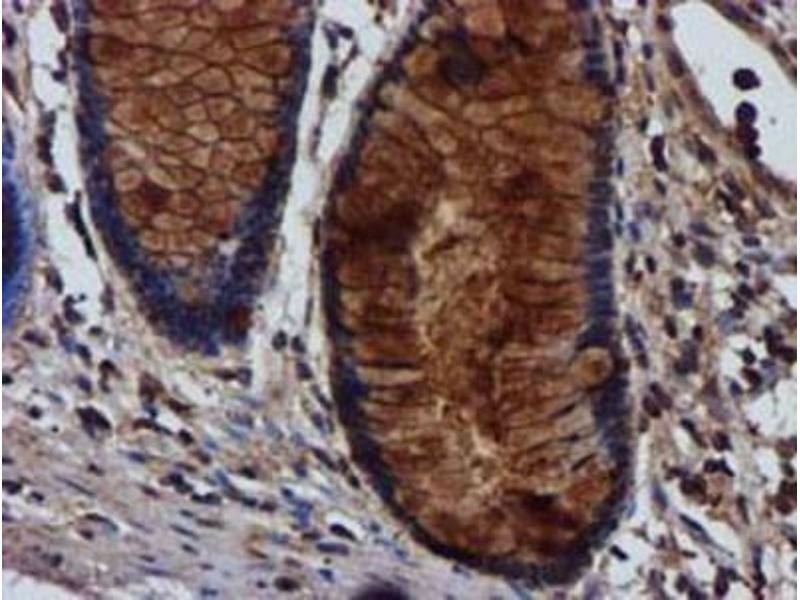 Immunohistochemistry-Paraffin: Complement Component C1s Antibody (4E3) [NBP2-01625] - Staining of paraffin-embedded Adenocarcinoma of Human colon tissue using anti-Complement Component C1s mouse monoclonal antibody. 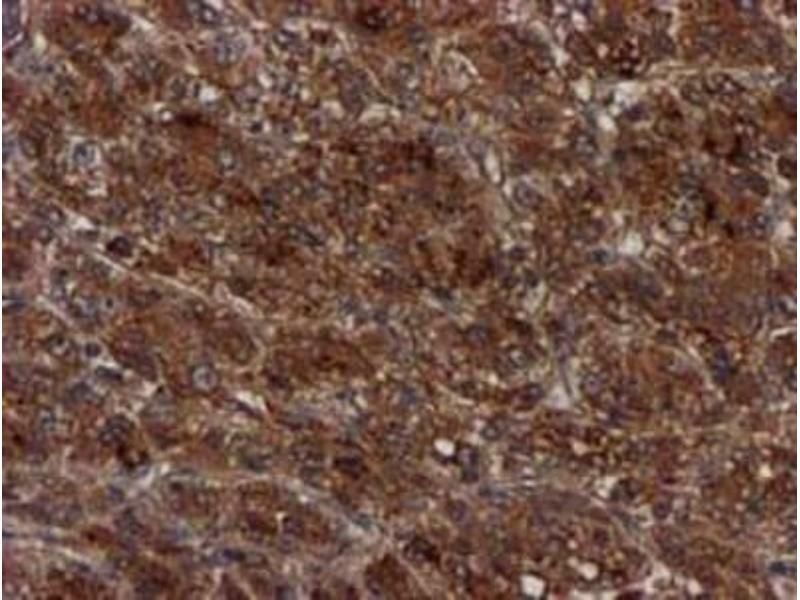 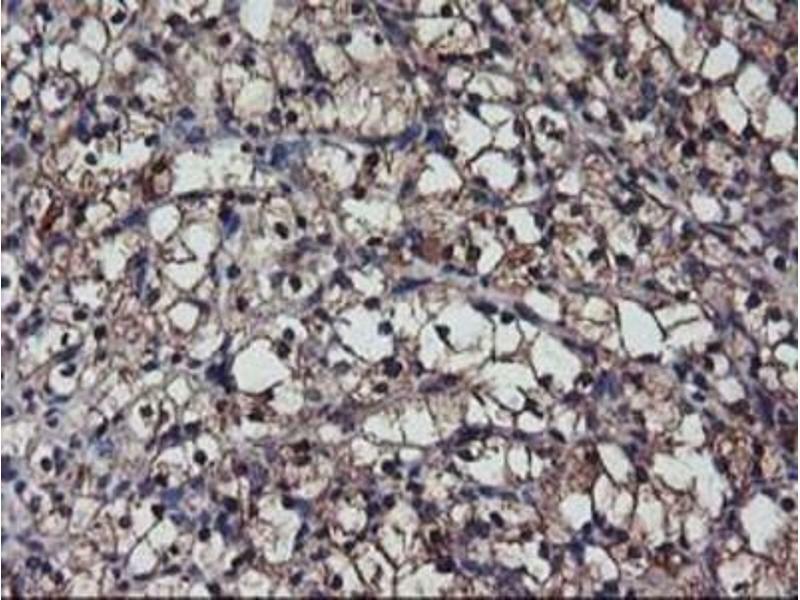 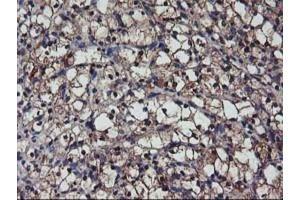 Immunohistochemistry-Paraffin: Complement Component C1s Antibody (4E3) [NBP2-01625] - Staining of paraffin-embedded Carcinoma of Human liver tissue using anti-Complement Component C1s mouse monoclonal antibody. 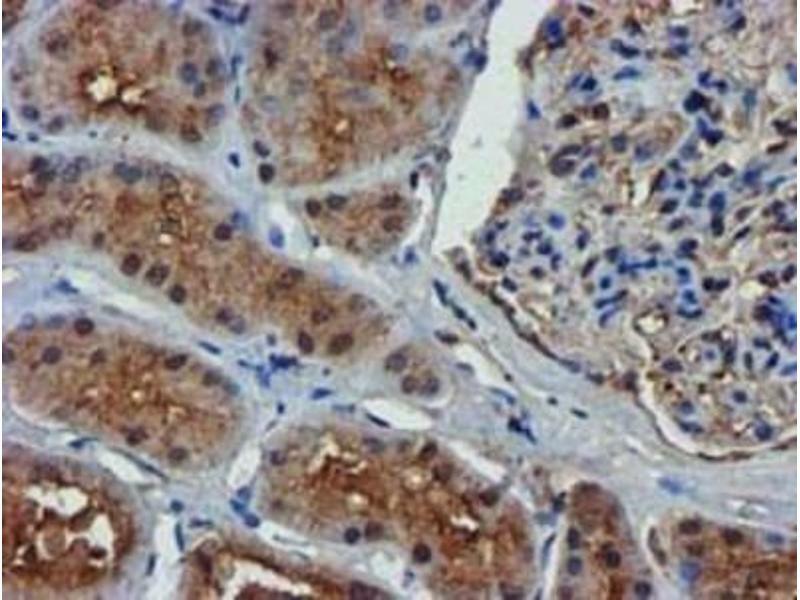 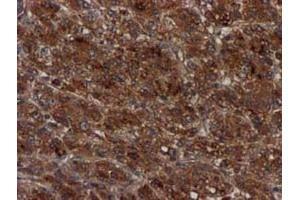 Immunohistochemistry-Paraffin: Complement Component C1s Antibody (4E3) [NBP2-01625] - Staining of paraffin-embedded Human Kidney tissue using anti-Complement Component C1s mouse monoclonal antibody. 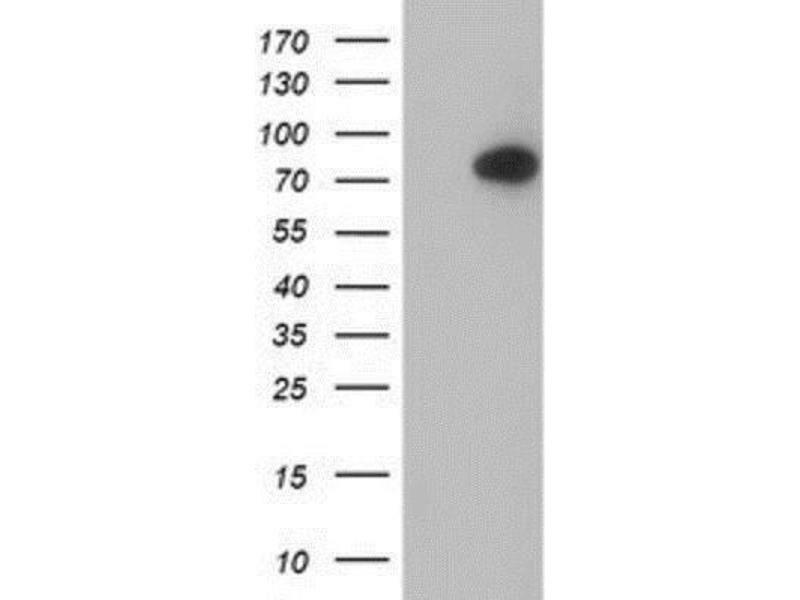 Immunogen Full length human recombinant protein of human C1S(NP_001725) produced in HEk293T cell. 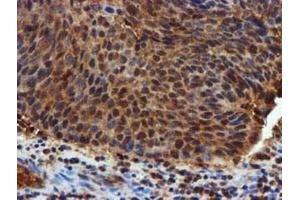 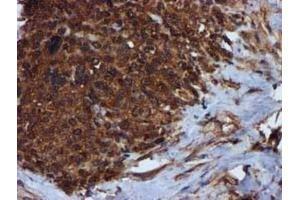 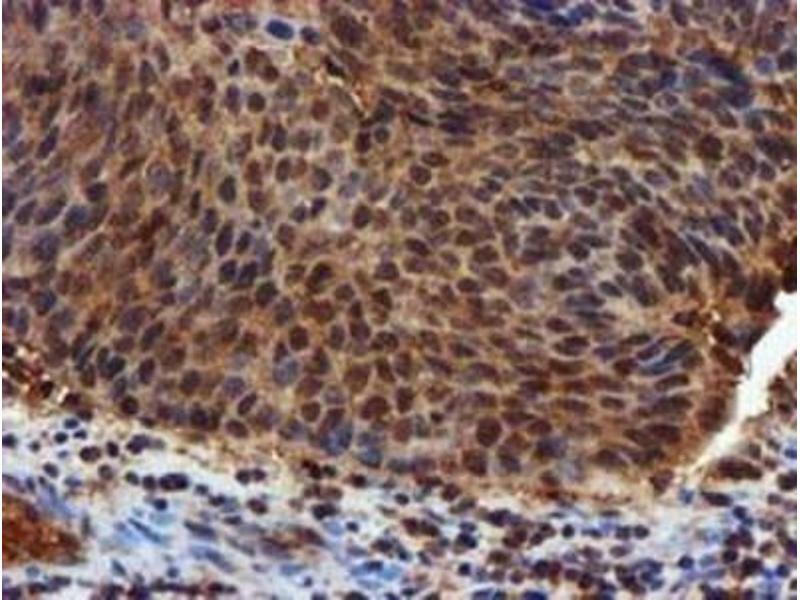 Immunohistochemistry-Paraffin: Complement Component C1s Antibody (4E3) [NBP2-01625] - Staining of paraffin-embedded Adenocarcinoma of Human breast tissue using anti-Complement Component C1s mouse monoclonal antibody. 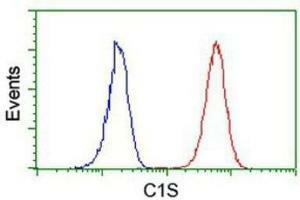 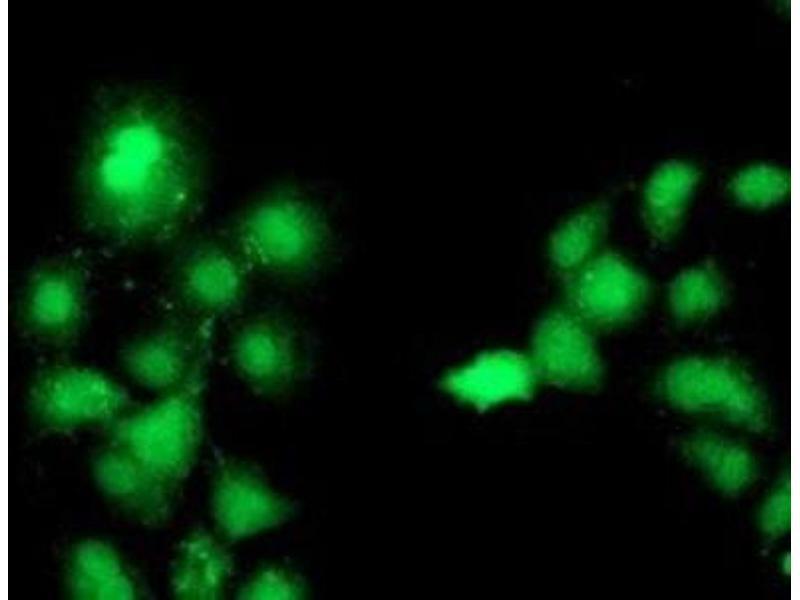 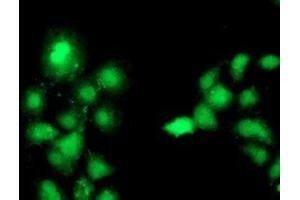 Immunocytochemistry/Immunofluorescence: Complement Component C1s Antibody (4E3) [NBP2-01625] - Staining of COS7 cells transiently transfected by pCMV6-ENTRY C1s. 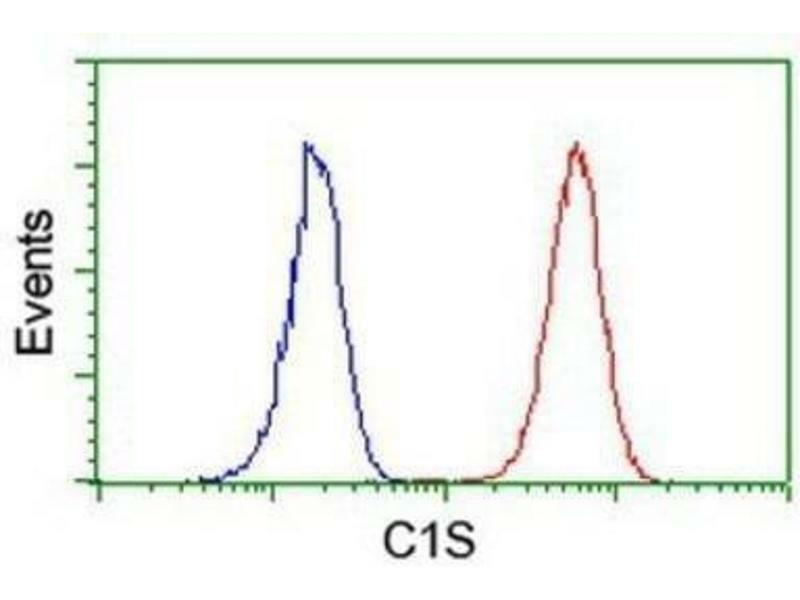 Flow Cytometry: Complement Component C1s Antibody (4E3) [NBP2-01625] - Analysis of Hela cells, using anti-Complement Component C1s antibody, (Red), compared to a nonspecific negative control antibody (Blue). 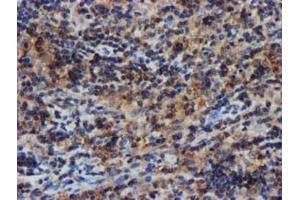 Immunohistochemistry-Paraffin: Complement Component C1s Antibody (4E3) [NBP2-01625] - Staining of paraffin-embedded Human lymphoma tissue using anti-Complement Component C1s mouse monoclonal antibody. 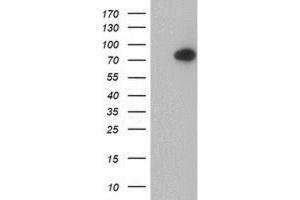 Western Blot: Complement Component C1s Antibody (4E3) [NBP2-01625] - HEK293T cells were transfected with the pCMV6-ENTRY control (Left lane) or pCMV6-ENTRY C1s (Right lane) cDNA for 48 hrs and lysed. 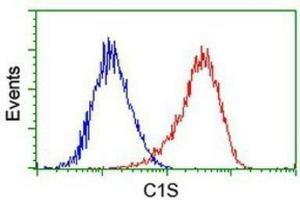 Equivalent amounts of cell lysates (5 ug per lane) were separated by SDS-PAGE and immunoblotted with anti-Complement Component C1s. 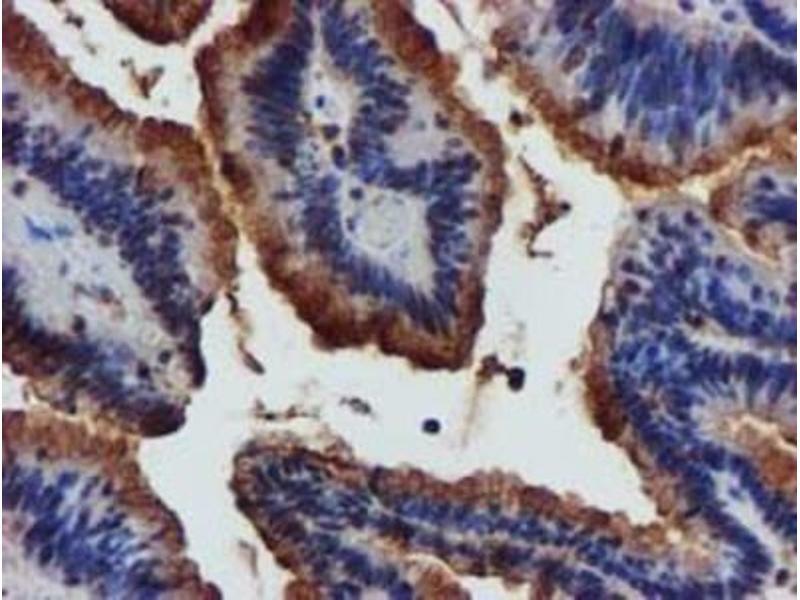 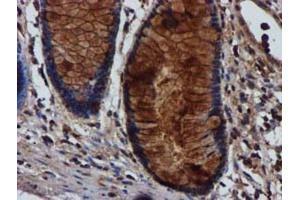 Immunohistochemistry-Paraffin: Complement Component C1s Antibody (4E3) [NBP2-01625] - Staining of paraffin-embedded Human colon tissue using anti-Complement Component C1s mouse monoclonal antibody.